Crocodilian is an order of large reptiles that appeared in the late Cretaceous Period and it includes the alligator, crocodile, gavial and caiman families. Locally, anything found relating to the crocodilian order is usually referred to as "crocodile" or "croc". 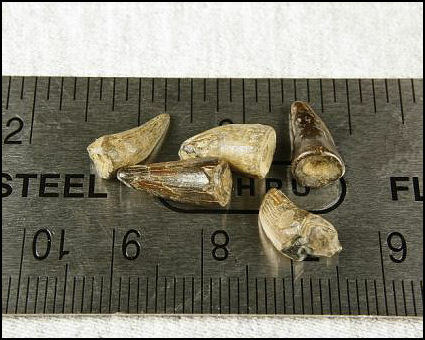 In the NJ streams, the fossilized remains of these reptiles is usually limited to the isolated tooth and fragments of boney plates called scutes. 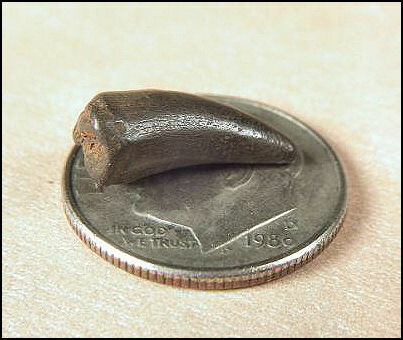 Croc teeth average about ½ inch in length are generally conical in shape, curved and may posse a very weak cutting edge. The scutes, are dimpled bony plates just under the surface of the skin which served both as body armor and to help regulate body temperature. Blood would pool in these dimples, collecting heat from the sun and be circulated through the rest of the crocodile’s body. 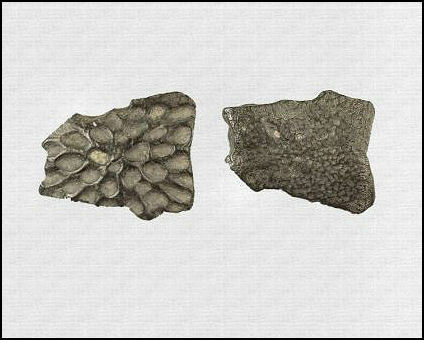 Except for the vertebrae, the other fossilized remains are normally too fragmented to make a positive identification. Author's note: The material on this web page represents "common" stream finds. Further identification is still being researched. The teeth have a smooth enamel coating, are conical in shape and curved. 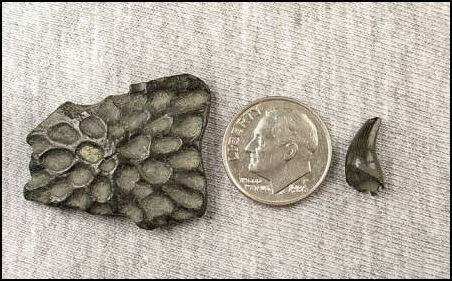 All the crocodile teeth I've found in this area are small, about 1/2 inch in length. 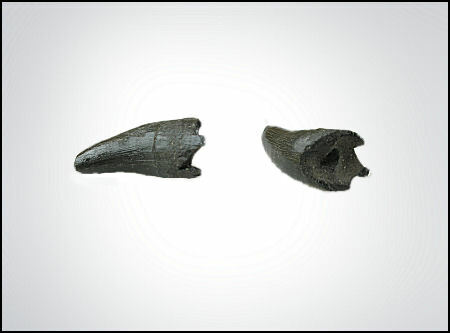 mosasaur teeth are more prismatic in shape with a well defined cutting edge. Somewhat less common than the teeth are the boney scutes. 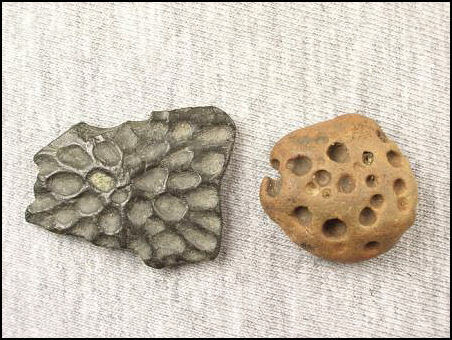 phosphate nodules, on occasion these may resemble crocodile scutes. Specimen curiosity of Ralph Johnson. 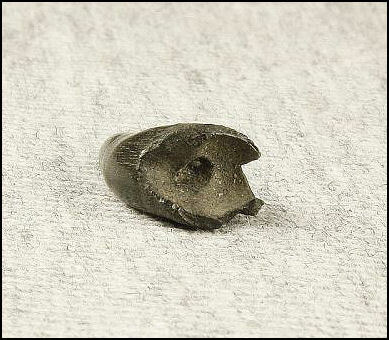 An unusual find for this area, Tertiary crocodilian tooth.